Whether you run multinational apparel manufacturing operations or a single factory, data should be at the heart of your organization’s strategic decision making. The important criteria is getting the right data to the right people at the right time. You’ve probably heard the buzzwords: Big Data, Predictive Analytics, and Cloud BI, and perhaps have read about the latest technology leveraging data including RFID, sew-bots, 3D scanning and augmented reality-based design and fitting and NFC- based raw materials. But with tech development happening at lightning speeds, it’s hard to know where to start and how you can make data work for you and your organization. This issue is compounded further when it comes to data on production quality. Despite quality is the key to repeat orders, satisfied buyers and long-term profitability, manufacturers tend to invest in planning and production tracking technology few quality management or quality-related solutions. You’re already sitting on a mountain of data. Whether it is through a digitized process or a conventional paper-based process almost all manufacturers capture data. But how effectively are you using your data? You need to analyze the data to extract meaningful and useful business insights. There’s no point in collecting data that you do not fully use if you don’t learn something new from the data. Though everyone aims to work with data, the problem lies in the speed of delivery of your data. Different teams in your production cycle require different sets of data at the right time to combat the issues they encounter in their production processes. Inability to access data, lack of accurate data and working with outdated data is often the case with most manufacturers. In a fast-paced manufacturing industry like apparel, even short data lags in production can cause significant damage, inversely impacting production as its effects multiply throughout the production process. The worst part would be your inability to know if a corrective action you took is making a difference in production, even though you have no real time visibility or access to production data. Though most industries have been able to get on board with new technologies and process automation, industries like apparel and footwear rely heavily on the human aspect in their day to day production. Hence finding the best tech fit to these industries have always proven to be a challenge, partly because of the lack of experience and expertise of the industry in most of the solutions in the market and the solutions inability to adapt to the ongoing process of different manufactures. This is where solutions like Res.Q comes in, RES.Q | QMS is a cloud-based quality management solution which provides decision-makers with a 360° view of production quality on the factory floor. Streamlining quality inspection with a simple, digital interface-driven process, RES.Q | QMS integrates real-time data capture and analytics to eliminate reporting time lags, enable faster, data-driven decision-making, reduce wastage, and improve your overall cut-to-ship ratio. 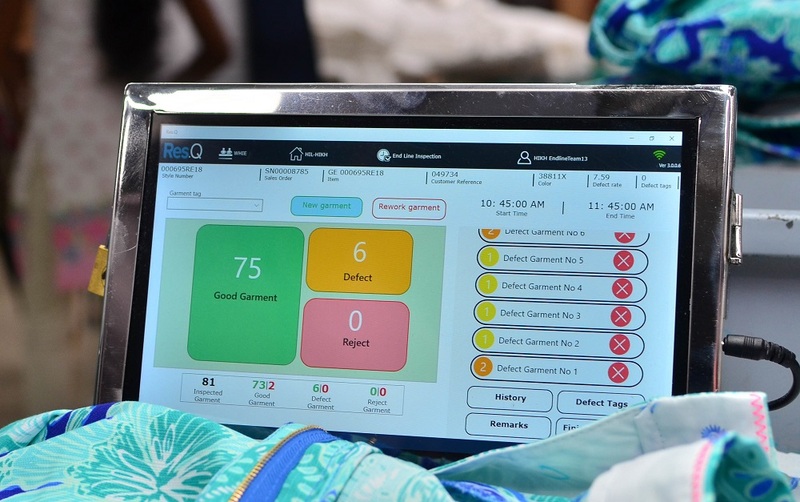 Through the simple digitization of your Shop floor quality inspection points, Res.Q is able to filter out the captured data in real-time and if any abnormality is detected, the system will immediately alert responsible teams or personnel via SMS or a simple push notification on their mobile application. Res.Q| QMS acts as a filter in your production floor, filtering out all captured data and diverting the right set of data for the right set of people in real-time. Whether it is your line operators, supervisors, QA teams, pre-production team or management teams, Res.Q focuses on filtering out the data and empowers different teams with actionable data (data which you can act upon). To do so Res.Q uses a range delivery modes, varying from smart screens on your shop floor to keep your shop floor operators updated, to the mobile devices in line supervisor’s pocket. What this does, in turn, is it frees up your production teams to focus on what really matters, your production! Rather than divert their time to compiling reports to understand what truly goes on in their production process. Mobility is another factor which is often hindered through the conventional production process, Decision makers are often confined to the boundaries of their production facility in order to understand the true status of production. But now with Res.Q users are able to closely monitor their entire shop floor and take production crucial decisions, all while being on the opposite end of the world. Launched in 2017 august Res.Q| QMS is now being operated in over 45 production facilities across three geographies (Sri Lanka, Bangladesh & Ethiopia). A major reason for Res.Q’s success is the solution's ability adapt to different manufacturing processes and methodologies adopted by different manufactures. 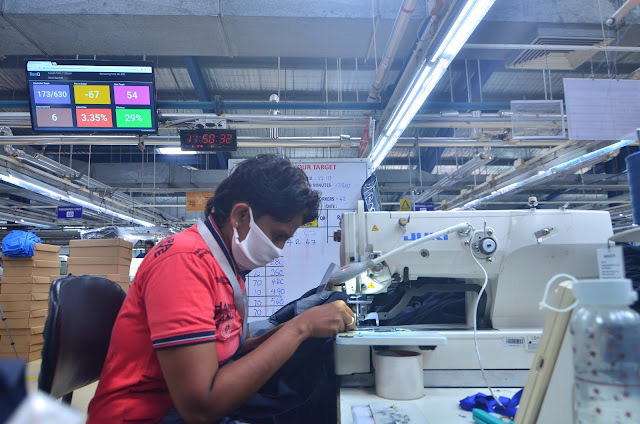 Whether it is a Bridal dress manufacturer, safety/ workwear manufacturer or conventional garment manufacturer Res.Q is a solution which could be used without compromising or changing your current processes. Built by H One, a venture of the apparel powerhouse the Hirdaramani group, Res.Q is built by apparel for apparel which is what truly makes Res.Q different from the conventional solutions in the market. Res.Q| QMS (quality management solution) being the first of its modules Res.Q also launched Res.Q| MI (Machine Inventory), a cloud-based machine (asset) management solution which is built leveraging the technology of NFC tailor-made to address specific pinpoints identified in the apparel industry. This article is contributed by Dilshan Chiththananda from H One (Pvt) Limited, Sri Lanka. Res.Q QMS, the quality management system for the apparel manufacturing industry. Cloud-based quality management solution which provides decision-makers with a 360° view of production quality on the factory floor.